This is the week our team has been working for these past several months! 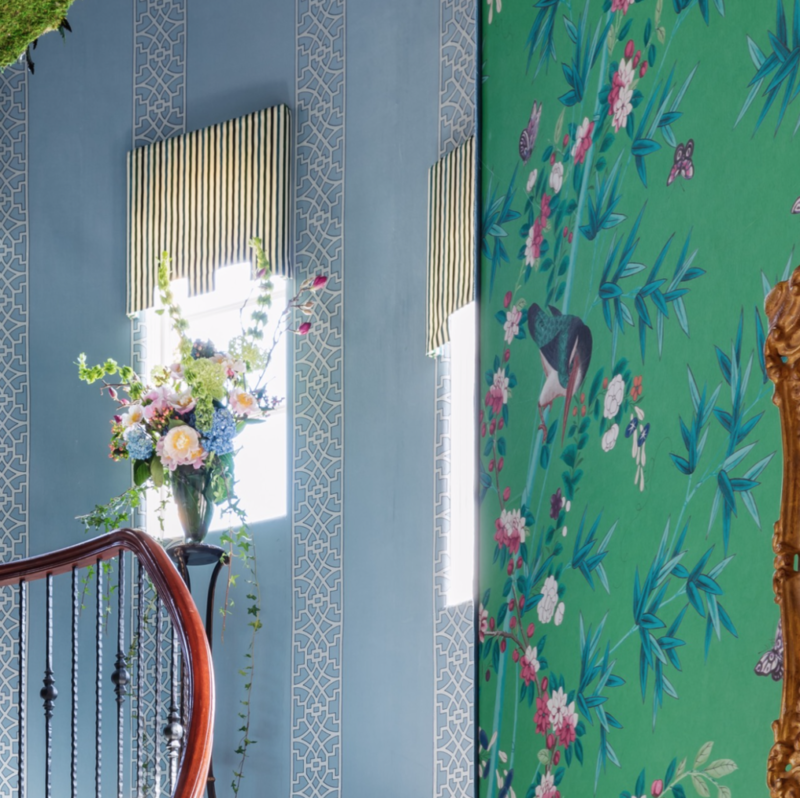 The Kips Bay Decorator Show House opens in Palm Beach this Saturday, January 26th. The blank canvas – the grand staircase before we began. Being a part of a show house is a whirlwind of an adventure. Multiple designers all under one roof – literally – creating a unique experience in each space. 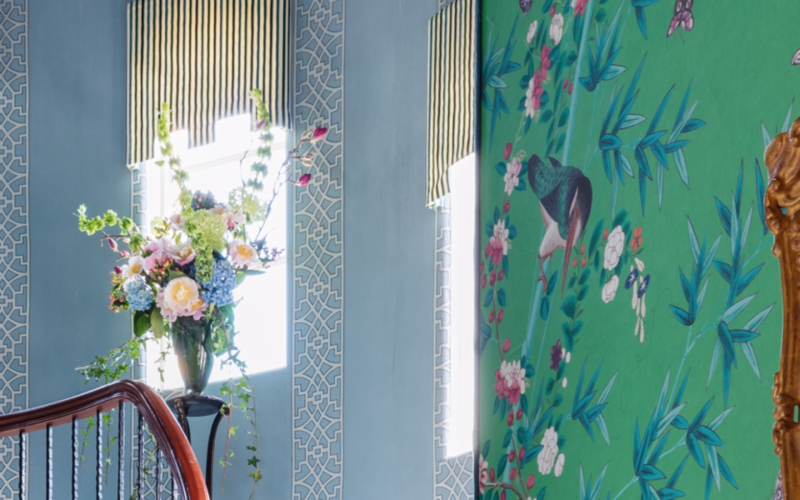 This piece in Elle Decor gives great advice to other designers looking to participate in a show house: “Don’t confuse a show house room with work for a private client—a show house is an opportunity to push the limits of your comfort zone. Go for the statement, because you need to grab attention,” says Matthew Patrick Smyth, interior designer. This has been the type of attitude I’ve had as well. The work designers present during a fashion show may not be a person’s everyday, wearable clothing line, but it’s a work of art. A space in a show house is much the same. Do I expect someone will want me to put an oversized birdcage with live birds in their home? I don’t (not really, anyway… but I could). This is about aspiration, about dreaming a dream, about thinking not just out of the box, but in an entirely different package. When we drew the grand staircase I was over-the-moon excited. What an opportunity. The ideas began to spin. And this weekend – the unveiling! A sneak peak of the grand staircase in its current form. Each time, I push the envelope as far as I can to come up with not just a beautiful space, but something that involves all five senses. If you know me at all, you know design does not stop with my sense of sight. If you’re in the Palm Beach area, I do hope you’ll come by and see what we’ve created. If not, stay tuned – there are photos to come (promise!). 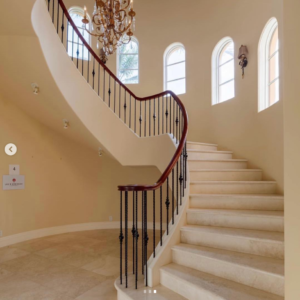 Note: all proceeds from the Kips Bay Decorator Show House Palm Beach benefit the Kips Bay Boys & Girls Club and Boys & Girls Clubs of Palm Beach County. Whether or not you are able to join us for the Show House, you can still be a part of doing something great for someone else by clicking here. Now that we have our feet on the ground in Palm Beach, expect more! We’re excited to be a part of the community here.